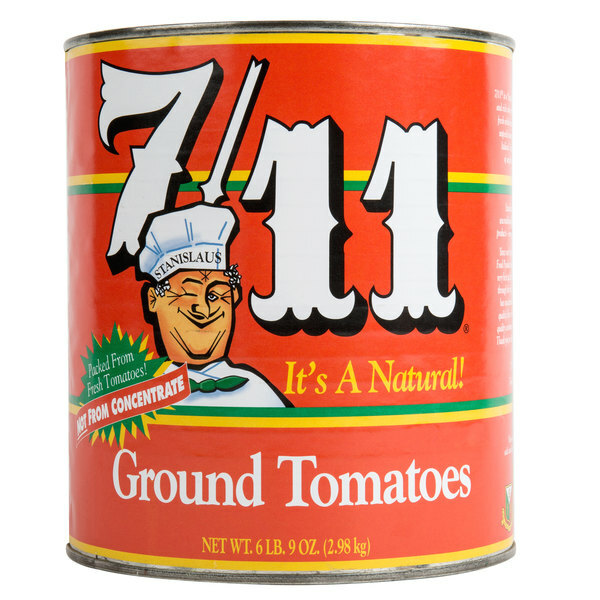 Create authentic Italian dishes with this Stanislaus 7/11 ground tomatoes in heavy puree. Featuring an immense flavor, these tomatoes are freshly ground unpeeled to add bits of skin and more tomato pectin to give your sauces the homemade, Italian-style texture. The tomato skin is known for being packed with flavor, which is why Stanislaus provides a product that retains the tomato velvet to provide you with as much fresh flavor as they can pack! Harvesting techniques ensure that these California tomatoes are picked at the peak of ripeness and feature a naturally-bright red color and a fresh fragrance. 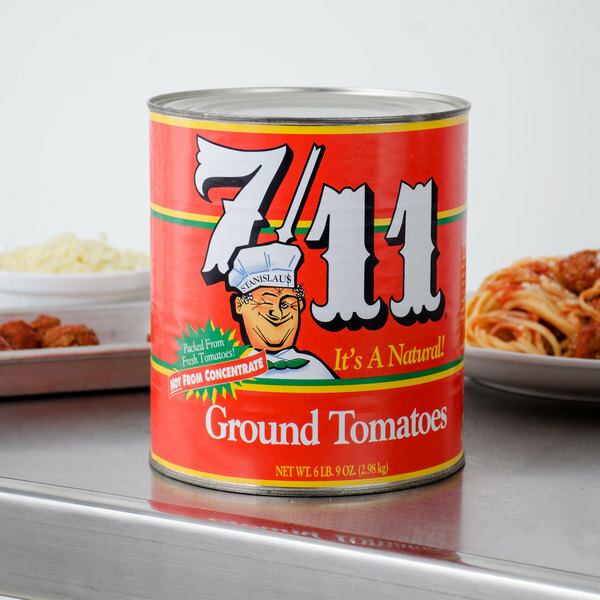 These ground tomatoes are perfect for adding into your specialty pizza and pasta sauces or stews for an intensely fresh tomato taste, thus saving you valuable prep time in your high-volume kitchen. 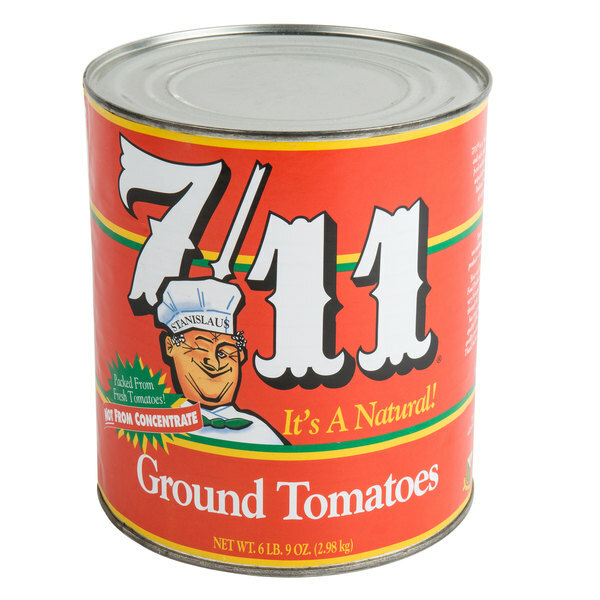 The tomatoes experience minimal exposure to flavor-damaging heat to maximize the sauce's flavor profile. 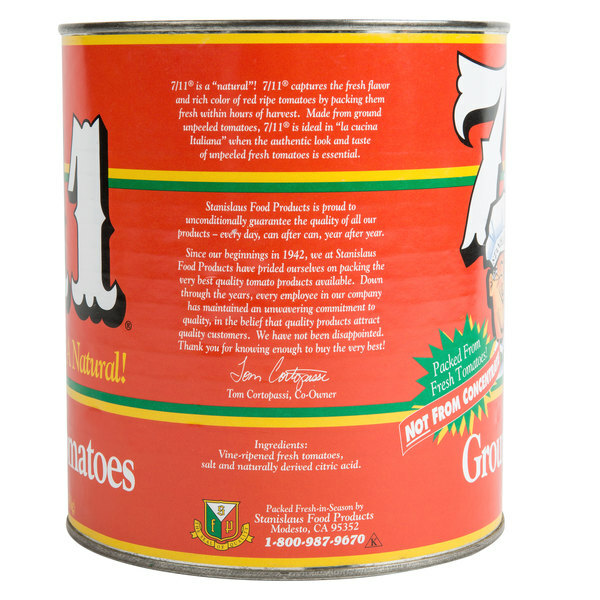 Plus, this bulk #10 can is packed from fresh tomatoes in a heavy puree, and not from concentrate for maximum freshness. Loved this product! I've heard so much about Stanislaus & the rumors are true! The taste of the tomatoes were perfect for my pizza recipe.